When you are in the market for a new computer, perhaps you could include among your requirements green issues like perhaps the materials to which they are made of and energy saving features that is currently among the top points that people are being encouraged to do. We are all aware that going green has been added to the fray and while many PC manufacturers claim that they adhere to such eco-friendly policies, it would be best to decide on your own on what it really means to be green. One thing you can be assured of is that you get the best performance as well. Power saving features has to be the leading indicator of being green which is closely followed by use of other resources from perhaps recycled materials or adhering towards policies governing proper waste and reusable resources. While these are a given, it is obvious that the main point that a PC buyer would have is simply to get a PC that can function normally and according to their needs. The real deal on why PC buyers should place emphasis on energy consumption may not be realized immediately. For one, energy consumption can really save a lot as far as bills and finances are concerned. A computer is seen as the lesser consuming gadget anywhere. But if you could get a PC that can save you a bit, you may be surprised at the impact that it may have in the long run when finances come into play. Technology means fast evolution of parts and this includes introduction of new parts and peripherals that are far better than initially offered parts. Hence, the issue of knowing when to buy and when to wait is something most seasoned computer buyers normally get used to. Observe and you will see that people normally wait a month to a year before they consider buying a new computer part of an entire PC for that matter. Why is that? For one, the value of a certain computer part depreciates fast. Unlike the traditional depreciation methods of assets, computers depreciate faster. For example, if a car depreciates according to the number of years, computers and parts may as well be seen to depreciate faster in a couple of months. You can see the price discrepancies and how the demand for them increases over time. There is simply a big difference. PC parts come in all shapes and sizes and while that is true, you can bet that a new PC only retains its overall value for a couple of days. The next thing you know a new part like a video card or memory chip will be available in the market possessing higher value and demand. That is how fast the technological evolution process takes place. Hence, the wise PC buyer would normally buy one after a couple of months when he notices a significant drop in prices. It may be a hard task especially for the enthusiastic PC buyer but you can just imagine at how much savings he can get by waiting just a little bit. Is Your PC Purely for Gaming? These days, owning a PC is not purely for business purposes. While we all know that most people are buying computers for studies or word processing requirements, they have also been considered to appease kids who look towards them for playing games that require specific requirements such as higher video cards and large storage space. It does seem like a waste for most but for people who want to keep their kids at home and away from vices, such is a price that is more than enough to consider. Besides, it is a matter of priorities. Improving the specs a little bit can still satisfy the need to have these personal computers be used for official ways such as documents and spreadsheets for work or school. As far as getting more expensive hardware for a customizable PC, it is really a logical price to pay. Computers have always been known to provide entertainment and if games are something that they are keenly interested to be kept away from harm, then by all means parents should think beyond the box. Cost is something most PC buyers will ponder upon. But while that is a given, it would be best to see which benefits and downfalls such an investment would make. As far as raising children and keeping them busy at home is concerned, buying a new PC with specialized specs is indeed something worthy parents will acknowledge not now, but in the future. At times, you may find yourself with openings at the back of your computer case mainly caused by the supposed placement of PCI card peripherals which you eventually decide to remove due to one reason or another. While that is not a problem as far as preference is concerned, usual casings do not have provisions to which you can easily patch up that open hole unless you have the screwable blockers to avoid issues such as dust and rodents. 3. Short your entire CPU like power and other necessary operations that can hamper it from functioning properly. But while you don’t have to buy the usual blockage parts that are not normally available since people rarely buy them, you can always use the traditional style of using tape to block them off. Rodent intrusion is a problem and you can just imagine what they can do. The only time you can perhaps check if any damage would be done may be when you hear some weird noise or worse, smell something foul. It may not be a big issue but safeguarding the operating environment of your PC is important. One strand of tape can make all the difference. For most students, it is back to school. And when that school opens, expect a lot of research and computer work to ensue. Hence, it is going to be a busy season for kids but also for the computer. Normally, most students are equipped with the latest computer technology so breakdowns may be seen as remote. But just the same, in whatever task they are doing, it would be wise to make backups just in case the unfortunate thing of crashes would come forth. This is the best precautionary measure that a student should take since factors like viruses or hardware failures can occur at times they least expect it. For families with more than one child using the computer, time and schedule of use may be a problem. Normally, they would take turns but you cannot discount the possibility that some siblings may have to do rush work or stay long in one PC. With that in mind, would it be feasible to buy another computer? At times, this is a scenario to which parents would but a second PC but not necessarily a high-end one. 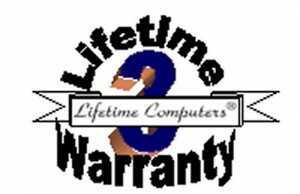 As long as they can browse or type, a lower PC like perhaps a Pentium III or Pentium IV will do. Besides, its just an alternate computer anyway.